As noted previously, Strathbungo changed radically from 1860 onwards, as the rural village gradually vanished beneath urban expansion. Not only did the buildings vanish, but the location of Strathbungo shifted too. Although Strathbungo was then outside Glasgow, the Corporation of Glasgow had purchased Pathhead Farm for the purposes of creating a major public park (Queens Park), which was laid out from 1857 to 1862. Land in the vicinity of the park became valuable for speculative building. This was particularly so in Crosshill immediately to the north of the park, an area previously farmland with few dwellings. As it grew it became a self-governing police burgh in 1871, its western boundary extending roughly to Niddrie Square. Govanhill followed suit as a police burgh in 1877, and the Gorbals, annexed to Glasgow in 1846, already reached Strathbungo’s northern border at the parish church. Strathbungo had no special status of its own, just a small village in a small corner of Renfrewshire, and the neighbouring communities were already encroaching on it when Glasgow expanded massively in 1891, annexing large parts of the southside including Bellahouston, Crossmyloof, Langside, Mount Florida, Polmadie, Shawlands and Strathbungo. This may explain why the village of Strathbungo rather lost its identity. I believe even now it has no legal status, except as part of Shawlands and Strathbungo Community Council. While all this was happening, however, a new residential suburb was developing to the southwest of the village. The original intention was to call this Regents Park, possibly after the fashionable neighbourhood in London, and this name did stick for many years. However it is this area that most now think of as Strathbungo, and which is the basis of the Strathbungo Conservation Area. The creation of Strathbungo Station in 1877, on the edge of the Regents Park development and to the west of the village, may also have encouraged this shift. As early as 1849 the first speculative proposals were made for Sir John Maxwell by the Edinburgh architect David Rhind for the feuing of Pollokshields with upper middleclass villas and tenement blocks laid around spacious squares and gardens. This created the division either side of Shields Road between villas on the west and tenements to the east that exist today. So, during the 1850s villas began to be built at the northern edge of the site along the canal and railway at Kinning Park. Alexander “Greek” Thomson designed a large villa, The Knowe, for John Blair, cap and hat manufacturer, built from 1852 on the site of the Shields steading. He also designed smaller villas along St. Andrew’s Drive, which have now been demolished. South of Strathbungo, the Langside estate was acquired by Neale Thomson in 1852, and feued in 1853 with a plan of terraces and villas with the help of Alexander Thomson, whose Double Villa of 1856-7 is such a famous feature of the development. Thomson had already by the mid 1850s also built cottages and little terraces in Crossmyloof, Cathcart and Shawlands, where he then lived. The 1848 railway line did not in itself spur the development of the new Strathbungo, although the prospect of a station in the future may have helped. There was no station at Strathbungo until 1877. Of more importance was the purchase by Glasgow City Council of Queen’s Park, or at least the easterly, Pathhead Farm, part of it, from Neale Thomson in 1857 and its eventual opening in 1862 (Camphill House and its grounds were added in 1893). Public parks were an important way in which local government could encourage the growth of suburbs by providing public amenities. The land of Regents Park was cut off from the rest of Maxwell’s farmland by the railway line, which had opened in 1848, and was close to the new Queens Park, and so was ripe for development. The initial plan for Strathbungo was a layout of villas similar to that in Pollokshields, and a feuing plan to this effect still exists, but it was never implemented. In 1859-60 Sir John Maxwell of Pollok feued the land to John MacIntyre, a builder, and William Stevenson, a quarryman who owned Giffnock quarry, the source of much of Glasgow’s blond sandstone. 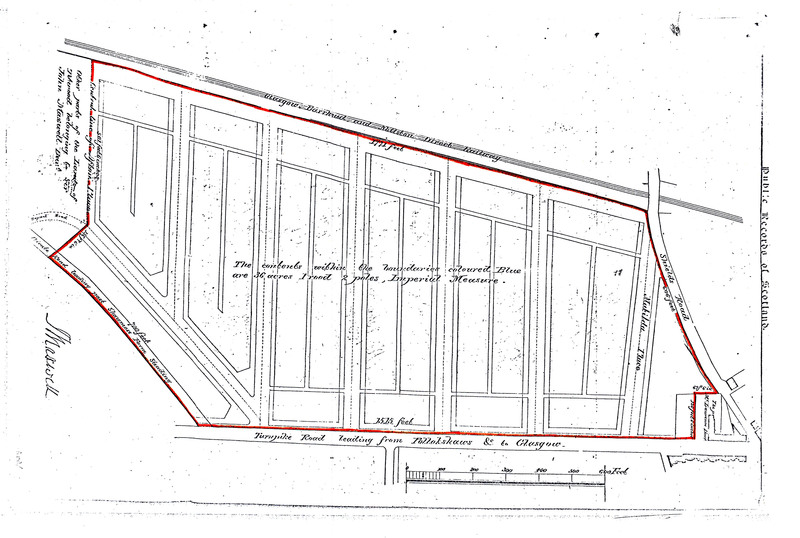 1859 Strathbungo Feuing Plan; note proposed new line of Titwood Road, and Carswell Gardens was to be Afton Place. 1-10 Moray Place was the first block to be built in the new Strathbungo, in about 1860, to the designs of Alexander ‘Greek’ Thomson. Although Alexander Thomson is sometimes referred to as a partner in the enterprise, the feuing disposition was in the names of John McIntyre and William Stevenson only. However Thomson was then, and was to remain, a regular associate of McIntyre on many significant projects (McIntyre was the builder of Thomson’s Queen’s Park United Presbyterian Church, and the builder and developer of the great Eglinton Street tenements of the late 1850s, etc). It is more than likely that he was responsible for the plot layout of the development, though it is not particularly innovative. In the design of the 1-10 Moray Place we can see many of Thomson’s characteristics at their best. The stylistic origin is Greek; it is strictly symmetrical but avoids the traditions of the classical terrace by not having any central focus and it is rigidly repetitive with the potential for infinite extension in design. The facade pattern is made up solely of rectangular pillars and beams, articulated by subtle recessions and variations in the vertical planes of external walls surfaces; the details of the incised carving of Grecian motifs are, as ever in Thomson’s work, delicate and refined. Thomson was concerned with all aspects of the decoration of his buildings; the plasterwork and woodwork of his buildings is as distinctive as the exterior. He provided elaborate lamp standards outside the front doors – once lost, but recently restored. The unusual sunburst ceiling centre motifs in Moray Place can also be seen in his flats on Nithsdale Road and in the detached villas of Langside. The care with which Thomson designed his facades is illustrated in the window layouts. The evenly spaced first floor openings are placed precisely above both the ground floor window and door openings and the wall spaces between them. Where the party wall lies the opening is blank and decorated with a palmette, but without interrupting the sequence of openings. In fact the facade clearly reflects the design of the top two storeys of Thomson’s West Nile Street warehouse of a couple of years earlier. 1-10 Moray Place was first occupied in 1861, Thomson taking No 1 for himself, and John McIntyre No 2. The cost of constructing the terrace was £5,600. Around 1900 an extension was added to 1 Moray Place for Dr Forrest; this was designed by John Bennie Wilson in the same style, although it does detract slightly from the symmetry of the building. A small dairy appears to have operated from the rear garden of 1 Moray Place at one time; the buildings still exist adjacent to the rear lane, with an opening in the side wall. Sadly Thomson’s involvement with the architectural development of the ‘new’ Strathbungo seems to have ended with 1-10 Moray Place. The three further terraces along the railway line, built 1862-4, 1872-4 and 1876-7 respectively, have more architectural pretension than the squares themselves, but lack Thomson’s disciplined classicism and scholarly detail. The next part of the development to be built was 11-17 Moray Place, for whom the builder and architect are unknown. 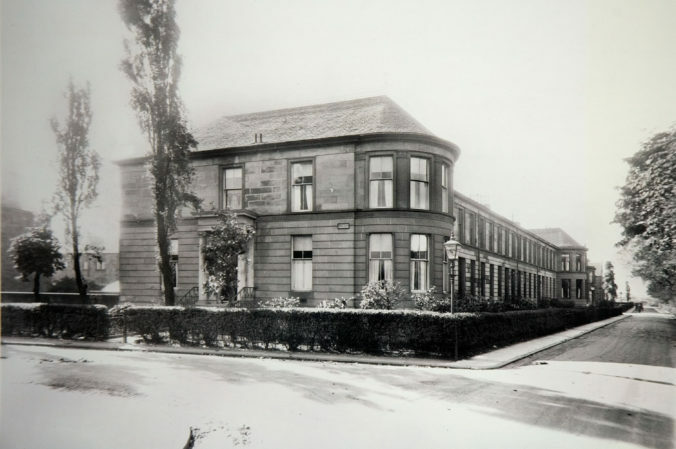 This was followed closely by both sides of Regent Park Square and the north side of Queen Square, which were all built in 1864-1865 by Duncan McNicol, who lately lived in a villa on Pollokshaws Road in Shawlands. He appears to have retained ownership of the buildings for some time, as the tenants were listed in his will. These streets are remarkably plain, with no architectural trace of Thomson’s involvement. Indeed, in style they look back 40 years to the late Georgian period. Like Georgian terraces there is the faintest echo of the so-called ‘palace front’ in which the ends and centre of the terrace project slightly to echo the pavilions and portico of the Georgian country house or grand urban square. They are larger houses than 1-10 Moray Place, which are modest two stories, with only three rooms on each floor. These are three storeys with half sunken basements, conventionally paned windows (compared with Thomson’s characteristic three pane windows). The basements and rear elevations are paned with small Georgian style panes, cheaper than the sheet glass used in the formal and public front rooms. 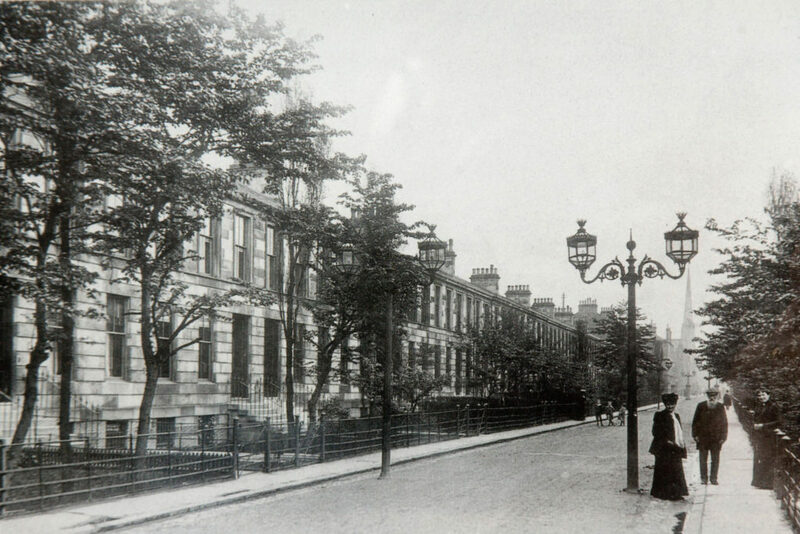 The northern-most two tenement blocks of Regent Park Terrace on Pollokshaws Road were first occupied in 1865 and 1867. The whole development was initially styled Regent Park and calling the streets ‘squares’ and demarcating them with gate piers at the Pollokshaws Road end was a way of defining them as select streets for the upper middle classes. The gate piers in Regent Park Square survive. There was clearly a similar plan for Queen Square, judging by the attractive curve of the boundary wall on the north side, but by the time the street was completed over ten years later the idea must have been abandoned — there is no such curved wall on the south side. It has often been stated on this basis that Strathbungo was a gated community but this was not so; there is no evidence there were ever any gates in Regent Park Square. There were originally four stone pillars across the road, with grand cast iron lamp standards atop the central posts, but on this photograph from 1910, no gates. Rev Munro reported that the lamps (and central gate posts presumably) had been removed by 1933. The pedestrian bridge over the railway at Regent Park Square was constructed in 1877 to provide access to the new Strathbungo Station platforms only. It did not reach the other side until many years later. There was also a pedestrian bridge at Marywood Square, erected between 1895 and 1910, but this was taken down in 1994. Building progress then slowed down considerably (McIntyre had died in 1872, to be buried under the tomb Thomson had designed in 1867 for McIntyre’s son in Cathcart). It was a stipulation of the feuing that the Moray Place terraces must be constructed before the Squares. The next range in Moray Place, 18-25, was built by William Brown in 1872-3 (first occupied in 1874), and the final range, 26-33, in 1876-7 (no 31 first occupied 1877, the rest 1878). The south side of Queen Square was not occupied until 1879-80, a date supported by the date inscribed on the urn placed above the front doors half way along the street. This side of the street is quite different in design to the earlier north side. Its broad bays and front doors are more obviously Victorian than the more old-fashioned north side. The terrace was built by Alexander Thomson, brickmaker of 130 Pollokshaws Road, and Robert Anderson, joiner and wright, of Dumbarton Road (now Argyll Street). Thomson lived in 33 (now 21) Queen Square. The north side of Marywood Square, originally called Prince Square to conform with the royal theme of the development, was in fact begun slightly earlier and was first occupied in 1878-9. The builder was Robert Weir, a builder of Allanton Terrace, 1-10 Langside Road, Crosshill. A William Weir was also involved in the business. Here houses with bay windows alternate with flat fronted houses, an unusual arrangement that gives variety to the street. The south side was not built until nearly ten years later, being first occupied between 1886 and 1888. Here, unlike Queen Square, the design was kept as close as possible to the north side of the street, though there are in fact very small differences in masonry work that reflect the gap in time. In Marywood Square several old lamposts survive, one possibly to a Thomson design – these are listed. Whether the whole development was originally lit by Thomson lampposts is unknown, but it would be a worthwhile conservation project to reinstate them. It is completely in keeping stylistically. Early photoraphs show the railings of the squares to have been remarkably plain initially, but became progressively more ornate as development progressed, in line with the increasing popularity and complexity of cast iron work such as that from William McFarlane’s famous Saracen foundry in Glasgow. This reached its peak in Marywood Square, but sadly most of these railings were lost to the war effort, and all that remains are the base stones and the stumps of the railings at the pavement edge. The railing designs in each of the streets is covered in much more detail in a separate article, The Railings of Strathbungo. All four of the early blocks of Moray Place are deliberately more ambitious than the longer terraces of the ‘squares’ and they are deliberately different in design, both to the ‘squares’ and to each other. Though they all, like Thomson’s Nos 1-10, have terminal projections at the ends of the terraces, these are, variously, square ended, semicircular and with canted bays. The street as a whole then displayed symmetry and regularity balanced with a picturesque variety of outline and silhouette. Meanwhile on the northern boundary of the present conservation area, the feu had required a new road to be laid out from the Old Shiels Road at the end of Moray Place to the turnpike road (Pollokshaws Road), to be called Matilda Place. Titwood Place was completed on the north side in 1877 by Thomson’s partner Robert Turnbull after his death. Meanwhile William Howie & Son built Matilda Terrace on the south side, completed the following year. Thomson’s influence is also very apparent in the boldly detailed block on the corner of Nithsdale Drive and Street, Salisbury Crescent, of c.1880, and again by Robert Turnbull. Matilda Place was renamed Nithsdale Road around 1895. The Old Shiels Road was renamed Nithsdale Road in Pollokshields, but Nithsdale Street in Strathbungo, and Nithsdale Drive was laid out in the 1880s. Across the railway on the corner of Nithsdale Road and Darnley Road is a tenement block of 1872-3 designed by Thomson for John McIntyre. Pollokshaws West Church of 1875-9 (by McKissack and Rowan), with its rather undisciplined agglomeration of classical elements, was doubtless influenced by Thomson’s St Vincent Street Church. Where do Strathbungo’s street names come from? While Regents Park may have been chosen to benefit from the reputation of the much earlier London development, there is another explanation, that takes its inspiration from the Battle of Langside (1568) that was fought on the far side of the hill in Queens Park. The battle was fought between Mary, Queen of Scots (Queen Square) who had escaped prison and was attempting to retrieve the Scottish throne from her infant son, James VI (Prince Square, later Marywood Square), and her half brother, the Earl of Moray (Moray Place), who was the Prince Regent (Regent Park Square) and thus effectively ruling Scotland. The Maxwells of Pollock fought on Mary’s side. Prince(s) Square was renamed circa 1930, probably due to confusion with Princes Square in central Glasgow, although the origins of the name Marywood are unclear. Queens Park is also thought to be named after Mary, and not Queen Victoria, although there seems to be no clear evidence of how the park’s name was chosen, and this remains unknown. Nithsdale Road likely takes its name from the Earls of Nithsdale, a distant branch of the Maxwell family, while the south west side of Nithsdale Road (Lebowskis/Sammy Dows, The Bungo, etc) was originally named Matilda Place, after Lady Matilda, second daughter of Thomas Bruce (1766-1841), 7th Earl of Elgin (he of Elgin marbles fame). 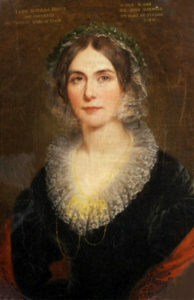 Lady Matilda married Sir John Maxwell (1791-1865) the 8th Baronet of Pollok in 1839. The couple had no children and after Sir John’s death their nephew William Stirling Maxwell (1818-1878) inherited. There was now another even longer delay in building. In the 19th century developers’ ambitions to provide genteel middleclass housing often conflicted with the more pressing demand for working class accommodation. This seems to have been the case from the 1870s when the doubling of Glasgow’s population by the First World War was taken up principally by tenement building. The middleclasses, encouraged by the railways and later the motorcar, tended to move out to true suburbs, the industrial workers remaining in inner city tenements. 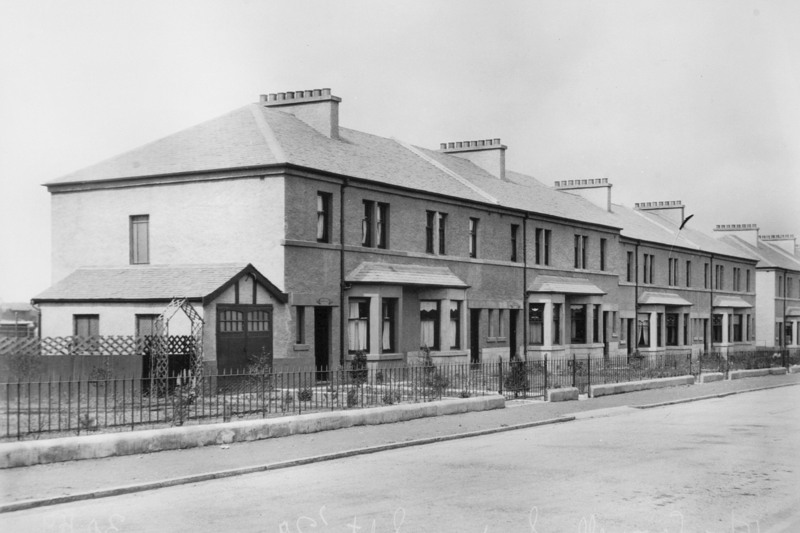 The final streets of the ‘new’ Strathbungo were not built until the late 1920s. 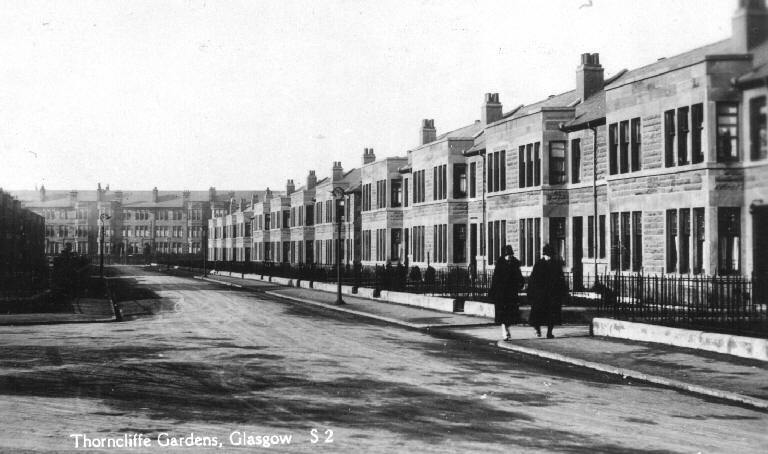 The ‘Gardens’ — Vennard, Thorncliffe and Carswell — together with 34-54 Moray Place and Titwood Road, were all ready for occupation in 1928. They were constructed by James Wright, of a family of local builders, and designed by Gardner & Glen, better known for their work on some of Glasgow’s great cinemas, such as the Grovesnor in Ashton Lane. A slightly earlier row of houses by this partnership can be seen in Tantallon Road (formerly Albert Road) between Skirving Street and Walton Street. A more detailed biography is available on the builders’ page. The differences between the ‘gardens’ and the earlier streets reflect architectural and social changes. The houses are of the new red sandstone from Ayrshire and Dumfrieshire that replaced the blonde stone throughout Glasgow around 1890 as the Giffnock and other carboniferous sandstone quarries ran out. The houses are smaller, two lower storeys instead of three, reflecting the reduced availability of domestic labour after the Great War. They are shallower and the gardens proportionally larger; the terraces are broken up into shorter blocks of 8-10 houses. The masonry is partly ‘rock-faced’ and the bays have parapets above the eaves line. The overall effect is that the ‘gardens’ possess a less urban, more suburban, character than the ‘squares’. Windows have upper panes containing stained glass in a typically 1920s style; this has often been recreated where windows have been replaced. The character of the ‘gardens’ shows the influence of the early 20th century Arts and Crafts and Garden City movements on domestic architecture, in which the ideal home was a semi with its own garden, a vegetable patch and touches of arty-craftsmanship in glass and plasterwork. A similar style of housing can be seen elsewhere locally — for example, on Haggs Road — possibly by the same builder and architect. The houses on the south west side of Carswell Gardens are to a slightly different design, and rendered rather than in red sandstone, although they were constructed and occupied at the same time. The builder was William Todd Aitkenhead, of a family of well known building contractors. His development also includes two houses to the same design on the other side of Titwood Road. Identical housing can also be seen in Auldhouse Road, although on that occasion faced in red sandstone. The deeds to these houses also note the land on which they are built was purchased direct from the Maxwell Estate; thus unlike the red sandstone houses, they are technically not actually a part of the original Strathbungo development at all. This is explained in more detail elsewhere, with copies of the original architect’s drawings. What then were the desirable features of the ‘new’ Strathbungo? It was provided with a large public park at the City’s expense. It was on a major trunk route into the city centre with its horse-drawn, later electric, trams (and now frequent buses) and was served by four (now three) railway stations. It was designed and built with an architectural character unusual in Glasgow, combining a regular urban grid with useful sized gardens, front and back; terraced houses with middle class pretensions, in a sophisticated urban style. At its boundaries are the tenements that define the traditional Glasgow 19th century street, so that the ‘squares’ are both integrated into, and distinct from, the typical Glasgow streetscape. For more information on Thomson’s work, visit the The Alexander Thomson Society. While the Gardens were more in tune with 20th Century living, the large Victoria era houses became less popular after the 1930s, presumably expensive to heat, and with servants largely a thing of the past. Many were subdivided, some into houses of multiple occupancy, and others became lodgings. Short term residency led to poor maintenance. The fourth Moray Place terrace became a hotel for a while. The commonest mention I found of Strathbungo in post WW2 newspapers is in applications by European refugees living in Strathbungo for UK residency. This would suggest it was becoming a place for the poor and displaced. In the 1960s the area, particularly the gardens, came under threat from a proposal for a south side motorway network, which further depressed Strathbungo’s value. The Strathbungo Society was formed in 1971 as part of a campaign to save Strathbungo from further decline and to seek Conservation Area status, and has had a major influence on its resurgence. Conservation Areas were introduced by Act of Parliament in 1967, and Strathbungo was designated on 10th July 1973 by Glasgow Corporation. The conservation area extended from Nithsdale Road to the Gardens, partly to protect the gardens from motorway proposals, but once the motorway was abandoned, on 24th August 1978 the area was redefined by Glasgow District Council, removing the gardens, but extending to include Salisbury Crescent and all of Nithsdale Road. This reduced the burden of a conservation area on residents in the gardens, but it is unclear if they gave this their support or not. Oddly, it also extends to the middle of the railway tracks, although that has had little influence on Network Rail. There will be more information in a forthcoming article on the Motorway that nearly killed Strathbungo. The population was said to have increased 10% in the 15 years to 2005, and survey results from 1998 indicate a total of 582 households within the boundaries of the Conservation Area which resulted in a total population of 1377 persons. The Society now interests itself as much in social activity as conservation, and with events over the years such as Bungo in the Back Lanes, Bungo at the Bells, Bungo Birls, Get Your Artz Off, Brighter Bungo, The Spring Fling, and Hallowe’en live theatre has helped contribute to Strathbungo becoming a desirable place to live once again. I am trying to locate a school that I believe was called Moray Place and existed certainly in the 1920 to 1926 period. Does it still exist? What numbers of Moray Place did it occupy? No such school I am aware of. There’s also a Moray Place in Edinburgh. Any more specific details? No, definitely Glasgow. My mother attended Moray Place school before going to Hutcheson’s in 1922. So perhaps a private prep school.